20. Minute. Run. I almost can’t believe it. Not only that, I almost can’t believe just how far we were able to run in that 20 minutes. Two and a half kilometers. Half a 5K! Sweet! The run itself felt a little difficult for the first 10 minutes or so until my legs loosened up and my running form felt right. After that it was easy. We even sprinted for the last 30 seconds and it almost felt like flying. 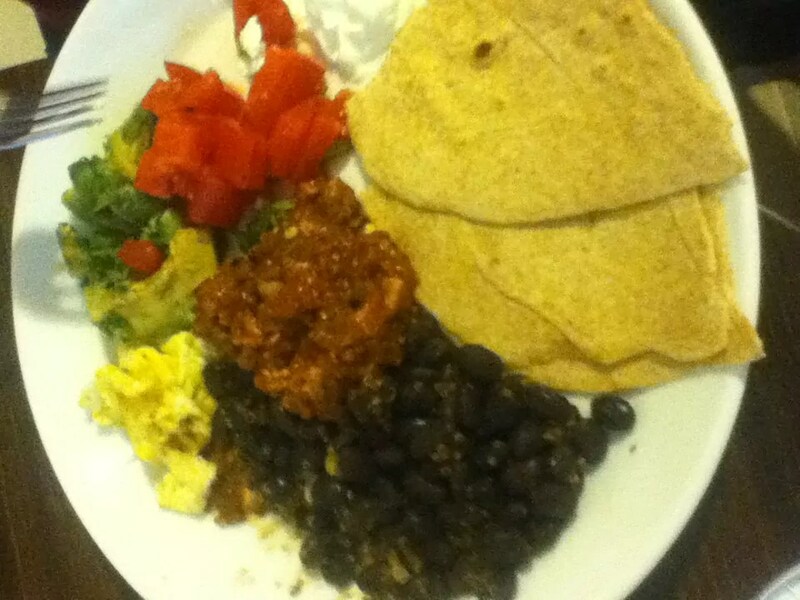 As a reward, we had a nice hearty breakfast of sofritas, beans, scrambled egg, homemade tortilla, avocado and tomato. Feeling really great right now.